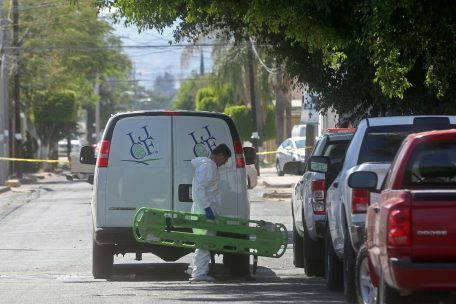 A total of 14 bodies have been found in the Colonia El Colli Urbano, in Zapopan, Jalisco. 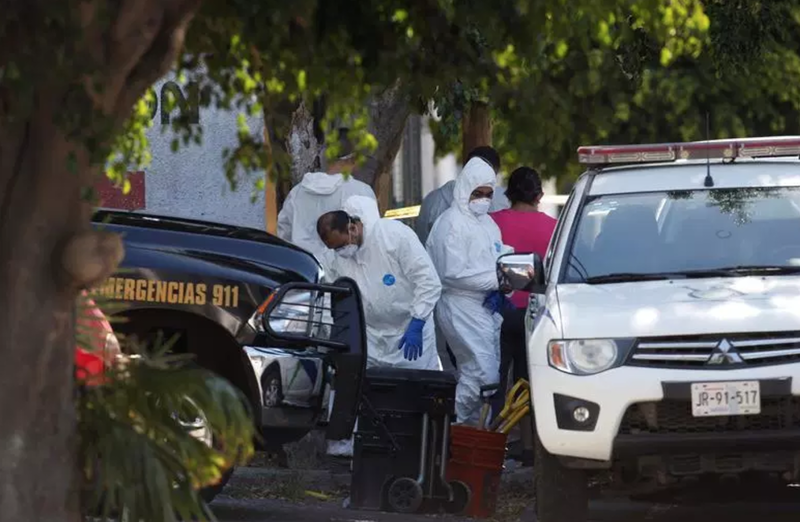 On the third consecutive day of expert work in the area this Sunday, two more bodies were removed, bringing the total to 14, the State Prosecutor's Office said, according to La Silla Rota. The search began on April 4, in a neighborhood on Popocatépetl Street, near Avenida Patria. That day the agents made the discovery of two bodies, but they could not work until this weekend. The location, identified by neighbors as a point of sale for drugs, will remained sealed off as a judge has authorized the continuation of the investigation. The work is not finished yet and will continue tomorrow, said the state agency. Personnel from the Special Prosecutor's Office for Missing Persons resumed work on Friday, the day when three more bodies were found, while seven others were discovered yesterday. The bodies exhumed so far correspond to men. Forensic experts perform work on the investigation protocol of missing persons, in addition to being subjected to genetic identity tests. The location occurred after a police received tips and an operation conducted by the investigators was initiated by the Special Prosecutor for Missing Persons. The Attorney General's Office continued the search for more bodies in the area. 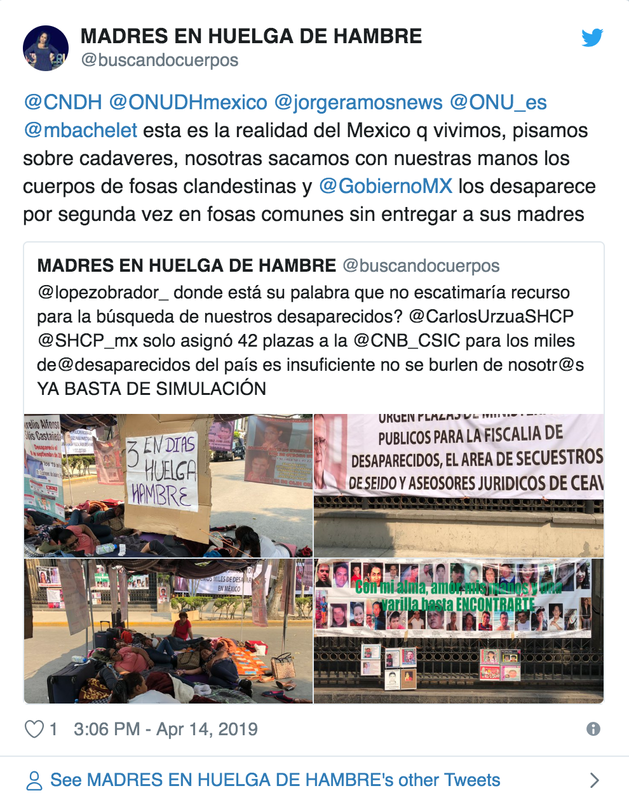 At least 24 clandestine graves were located only this week by groups of trackers, activists, state authorities, relatives of disappeared and bystanders in the State of Mexico, Jalisco, Nayarit, Sinaloa, Sonora and Veracruz . The number of bones found in these places corresponds to 113 people . The findings take place in a country where there are 40,000 people missing . The largest clandestine grave, according to a tracking publications in national and local media, was they found in the state of Veracruz , in the area known as "El Infiernillo", located about 20 minutes from the port of Coatzacoalcos , were located at minus 65 skeletal remains. The remains were transferred by the State Attorney General's Office to carry out DNA tests. While in Sonora 27 bodies were located in 19 clandestine graves located in the municipality of Cajeme, according to sources of the prosecutor's office consulted by the agency Efe. See yesterday's Post on this case. 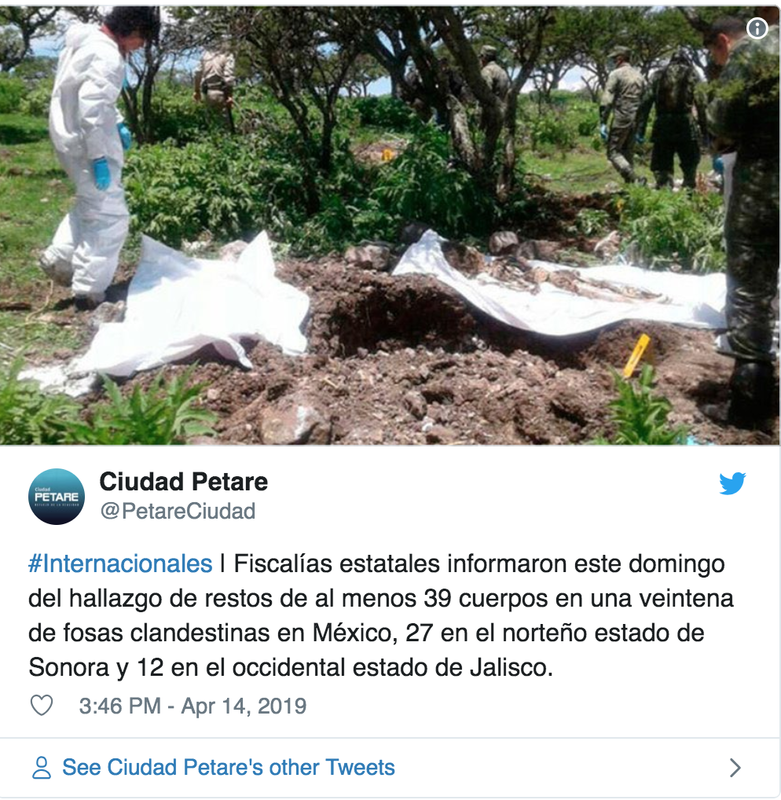 In the limits of the municipality of Guasave and Ahome, in Sinaloa, another 15 bodies were exhumed between last Friday and Saturday by members of Las Rastreadoras de El Fuerte. The findings occurred at a site located between the community of Juan José Ríos and Los Mochis, said Mirna Medina Quiñónez, leader of the collective. She mentioned that after confirming that they had found the bodies, the group decided not to interact with them to comply with the guidelines of the State Attorney General. "We are studying the graves but we do not touch the bodies to respect the protocols of the Prosecutor's Office, and if nothing else we discover the body and we see that it wears shoes or something. Here three bodies with huarachitos, some have shoes, " she said. She mentioned that in the coming days the authority will reveal the identity of these bodies. "We have already spoken to the authorities, they are coming to help us work to exhume the bodies and to determine if any of our relatives are here. We have about 100 people missing here. " While in the vicinity of the Xalisco Airport, in Nayarit, the Familias Unidas Collective in Nayarit located two bodies in a pit. The same happened in Ecatepec , in the State of Mexico, where a pair of passers-by located a skeleton in a clandestine grave in the Colonia Tablas del Pozo. 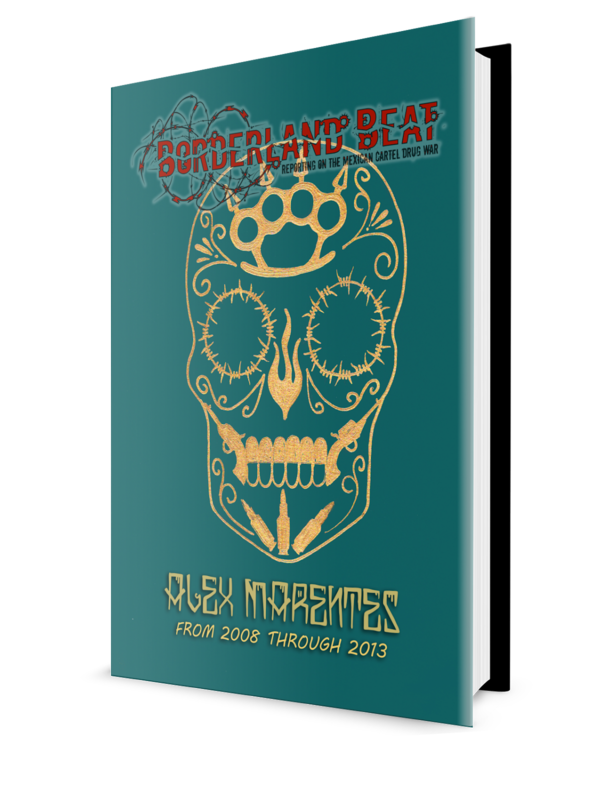 According to the National Search Commission ( CNB ), Mexico has a record of 40,180 missing persons and in most cases it has a digital identity, which includes the full name of the victim, date of birth, photography and fingerprint. 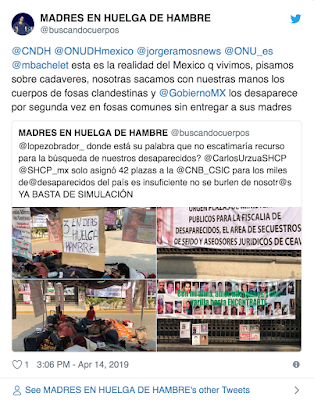 Last January, the head of the Commission, Roberto Cabrera , recalled in a press conference that one of the objectives of the CNB is to know who they are, how many they are and where the disappeared people are. "From the purification of the collected records of diverse sources, the National Registry of Disappeared and Non-Localized Persons, which is still under construction, shows that the people who have been registered as disappeared to date, amount to 40,180," said Cabrera. Cabrera explained that the figure is the result of a general base of 99,129 missing from 2006 to date, of which 62, 436 were located alive. He noted that through the Human Identification Working Group, the CNB "achieved giving identity to more than 400 people who were unidentified; some with more than 10 years without identification. Of the more than 400 cases, only 20 have a report of disappearance. " Wait, when did 14 dead become an "horror" in MX? I'm sure its CJNG deceiving innocent people into believing they're applying for a legitimate job and killing them when they resist. Or I'm sure CJNG will come out with a banner claiming everyone in the clandestine tombs were ZETAS and it was done for the good of the community. We all know how CJNG functions already. Woah, El Cholo hitting Zapopan hard! 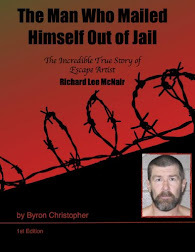 He’s fighting like a cornered animal..
Who they, jaliskas or jaliskas or other cartels, and how com no names? mencho and the cuinis crapping where they eat...shows how disgusting that family is.